The full set of configuration options are documented in Configuring Control Center. You can use Control Center to monitor multiple Kafka Clusters. 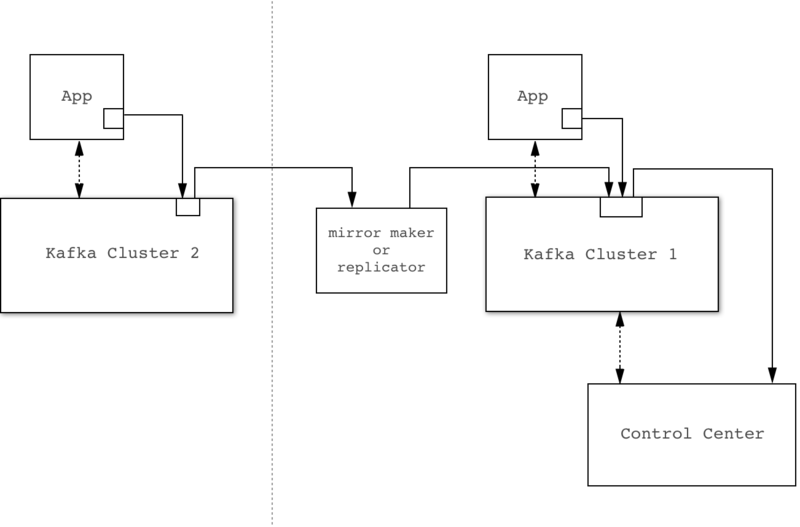 All metric data from the interceptors and metrics reporters is tagged by Kafka cluster ID and aggregated in Control Center by cluster ID. 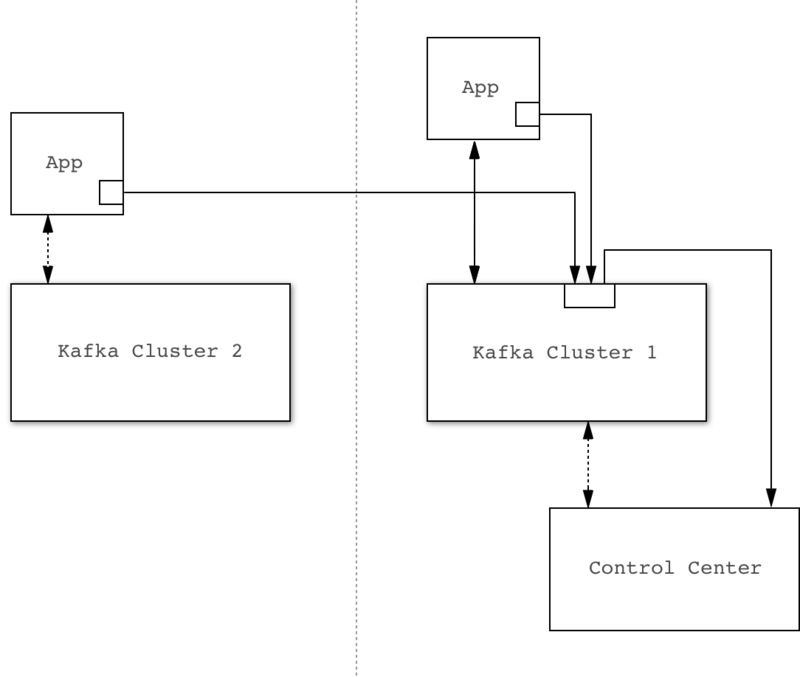 The cluster ID is randomly generated by Apache Kafka, but you can assign meaningful names using Control Center. Direct: Using the direct method, the plugins will report the data directly to the Control Center cluster. If your network topology allows direct communication from interceptors and metrics reporters to Control Center, the direct method is the recommended solution. Control Center only shows topic descriptions for topics that are on the cluster it is using for storage. Future versions will include topic descriptions from other clusters as well. This means that the “Topic Management” view in the web interface shows less information if Control Center is running on a dedicated cluster. This will be fixed in a future release of Control Center.